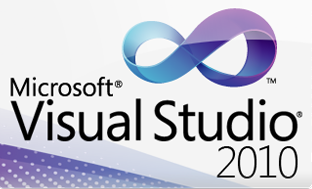 Visual Studio 2010 is the old platform whereby you can still create Windows Form applications with C++. You can't from Visual Studio 2012 onward. However, you will find that it is quite troublesome when you needed some help and references while you are on the move and possibly offline. In the good old days, there was MSDN Library for older Visual Studio, but there isn't any for Visual Studio 2010 on... So what happened to it? Well, since the steps are similarly, you should be able to follow through it similarly for Visual Studio 2012 and 2013. So back to Visual Studio 2012. Grab your DVD (or mount your ISO) and let's start. Launch Visual Studio 2010. Help Menu. Select "Manage Help Settings". Strange path, but accept it nevertheless. Select "Install content from disk". Browse to your DVD "ProductDocumentation" folder and select the file " HelpContentSetup.msha". Click "Add" for all items (or some, but don't cry when you can't access it when you are offline). Local help is available now. Hope this helps. Let me know on the comments!